More about the program content, practical details and our thoughts on executive education (pdf). Terms of payment Fee payments must be received by SSE Executive Education within thirty days from the date of the invoice, though no later than the program start date in the event of late registration. Cancellation In case of cancellation 50% of the program fee will be refunded for cancellations made between eight and four weeks before the program start date. No refunds will be made for cancellations made later than four weeks before the program start date. Cancellations must always be made in writing. Travel and lodging Travel and lodging expenses are not included in the program fees. SSE Executive Education makes lodging reservations for participants of in-residence programs. Participants are responsible for making cancellations in accordance with study center/hotel regulations and are liable for any cancellation costs. Miscellaneous SSE Executive Education reserves the right to cancel a program, in which case paid program fees will be refunded. Additional compensation will not be paid. Personal data in this form will be stored at SSE Executive Educations database and treated confidentially. The information will not be sold or used for any other purpose. Sustainability issues have been of central importance to the actors of the financial sector for quite some time, but there is still some uncertainty in the area. What do these issues actually mean and how can they be integrated into business decisions? In the two-day program Sustainable Finance from the Stockholm School of Economics Executive Education, we specifically address you who work with finance-related issues and need to get a stronger grasp of sustainability. How can the sustainability perspective be integrated into the classic models for investment and lending decisions? What advantages and disadvantages are there with the various models? What impact does sustainability integration have on financial return? What practical method challenges are there for sustainability integration? Why is the transition to a sustainable society a critical issue today? Planetary boundaries, circular economy, disruptive behavioral changes, sustainable development goals, etc. Effects on business models, operating risk and financial risk. How can the financial sector contribute to this transition? Investments, lending and payment infrastructure. What do all of the different terms in sustainability actually mean? In-depth understanding of the central concepts in the sustainability field: ESG, SRI, sustainable investing, impact investing, stranded assets, shared value, SDG, GRI, PRI, materiality, HLEG and TCFD, etc. What different methods are used in sustainable investment? What does the research say about the effects on returns from sustainable investments? The portfolio perspective – is it even possible to measure? Empirical data, arguments for positive and negative effects on return. The company perspective – effects on profitability and cost of capital. Are certain sustainability aspects extra important to different kinds of companies? ESG-integrated lending (materiality, stakeholder analysis, governance, etc. ), green bonds, blue bonds, etc. What are the methodological challenges? The quality of ESG data – external rating, reliability of the companies’ reporting, understanding effects of sustainability initiatives on a company’s entire value chain, short versus long time horizon, etc. In Sustainable Finance, research meets practical application. Theory sessions are mixed with guest lectures, practical case work, group exercises and discussions. Another important part of the program is that you get to meet and exchange experiences with others regarding sustainability issues within finance. It this the right program for you? The program is for those who want to develop their knowledge and insight into sustainability work within the financial sector. The course is primarily developed for those who work with risk and business decisions in the financial sector, including the insurance and pension sector. Sustainable Finance is relevant in many different roles and functions, such as for those who work as analysts, managers, advisers, account managers, or with risk, lending decisions or investments. After attending Sustainable Finance, you will have deepened and broadened your knowledge and your understanding in several current issues in the intersection between sustainability and finance. It will increase your confidence and possibilities of driving and contributing to issues concerning sustainability in your operations. 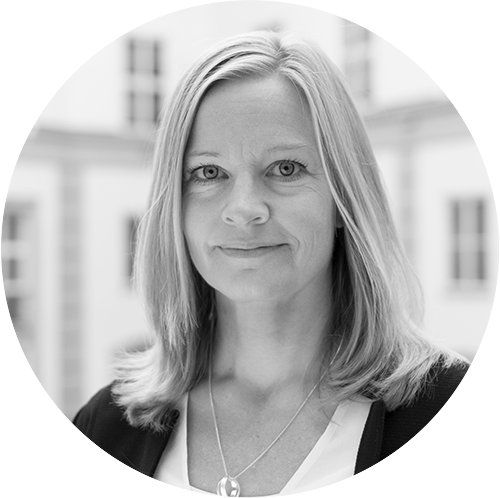 Hanna Setterberg, PhD in Accounting and Finance from the Stockholm School of Economics and a researcher within sustainable finance. In addition to researchers from the Stockholm School of Economics and the Stockholm Sustainable Finance Center, guest lecturers with practical experience of Sustainable Finance will also participate. The program Sustainable Finance was developed with support from Vinnova. It is offered in cooperation with the Stockholm Sustainable Finance Center – a unique collaboration between the Stockholm School of Economics and the Stockholm Environment Institute, with support from the Swedish Government. The program is a part of the center’s goal to contribute to a sustainable financial market by increasing expertise regarding sustainability issues among Swedish and international actors.